As many are aware – or at least for those who have read “My Return Home” series – I am a survivor of verbal abuse. In a “nutshell”, verbal abuse is the tearing down or intimating of another to the point where he/she has no confidence, no feeling of self-worth, and struggles daily with who they are. It’s an unfortunate thought to think that many people could very likely claim this definition for themselves. But what’s even more unfortunate, when someone has had this done to them, they often do the same to another because they can’t control their actions. It’s this truth, and many others like it, that are discussed in a recent broadcast that I came across – and I’m featuring that below. It is an Abuser’s Reality – they who were abused (physically or verbally or both) as a child will either, (a) seek out relationships that continue the abuse because they think abuse is “love”, or (b) they become the abuser. People who fall in this category (Men AND Women), are often unaware – believe it or not – that they have this problem. I have to admit, when I started listening to this broadcast, I did so mainly out of curiosity. But as I listened, I started to recognize elements that were similar to my own past. Suddenly thoughts about my siblings and their struggles AND people I knew who had similar struggles, began to surface. I started to listen more attentively and asked myself some of the questions that she brought up. One of those reflective questions that came to me was: those of us who have been abused also struggle with attachments – we don’t want them, that is when they are people. Things are different, they don’t leave. People often leave, they have free-will. People who are abused are quite literally abandoned, even though their abuser(s) are still present, the person they were supposed to be able to TRUST is gone. So we definitely do not like attachments. 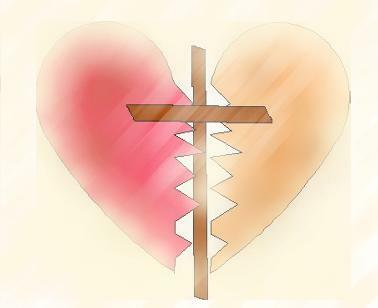 Yet on the positive side, I began to realize how much healing I have gone through, along with what healing still remains. It was a beautiful time of reflection, though a bit awkward as I was in my local library at the time. Still, I was able to block out the distractions around me and focus in on the story before me. A little something about the presenter: Leslie grew up with an abusive mother, who probably had an abusive mother. Leslie had to come to terms with WHO she could help, and who she could change. She also came to the full realization that healing comes when we least expect it, but always when we leave our hearts open to the Creator, the Healer of all wounds, God the Father. Again, Catherine’s book came full center as it, too, deals with the hurt of the main heroine and how God not only heals her with His Love, but also with the aid of those He places in her life, primarily in Scott and his family. If you are struggling with an abusive spouse, parent, or friend OR if you are the abuser and you’re lamenting your lack of self-control, this broadcast IS FOR YOU. So if you are offering your gift at the altar, and there remember that your brother has something against you, leave your gift there before the altar and go; first to be reconciled to your brother, and then come and offer your gift. Make friends quickly with your accuser, while you are going with him to court, lest your accuser hand you over to the judge, and the judge to the guard, and you be put in prison; truly I say to you, you will never get out till your have paid the last penny. 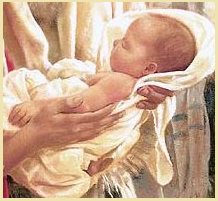 The Christ Child lived in the womb of the virgin, Mary… Would you call Him a “fetus”??? To suffer with the other and for others; to suffer for the sake of truth and justice; to suffer out of love and in order to become a person who truly loves-these are fundamental elements of humanity, and to abandon them would destroy man himself. Seeing Dan unpack himself from the tiny VW Bug was a sight. He must be six foot five and is very broad shouldered. He must have played football. But on this cool and damp day outside the abortion mill in Wisconsin, it is Dan’s warm smile and gentleness that leave the strongest impression. He was just one of the unsung 40 Days for Life prayer warriors outside a tragically busy abortion mill in a poor part of Milwaukee. Although we were able to meet for a short while after praying, I was unable to figure out what brings him so often to this dark place, and how he can do it with an obvious love and joy. That is, with so much hope. A heart filled with love and hope can do amazing things... go HERE to read more! There are over 247 cities around the WORLD who are participating in this MIRACULOUS event! Please take a moment to visit their site, and if you are able, become INVOLVED – both in Prayer and Fasting – and praying at location where children are losing their lives daily. They NEED your prayers as well as their mothers – who are often forced and coerced into killing their children because they feel they have no choice… or even worse – they’re lied too and told, “it’s not a baby”. Will you give them your prayers AND your support. Is A Fetus A Person? Are You Ready For the Next Five Minutes?? ?